After hearing from many of you we agreed to extend the contest with 30 extra days. Keep working on your projects and good luck to all! Hackster and NXP are calling all hardware developers to join our latest and most advanced contest ever! From smart roads, to smart homes, our lives are being impacted by new technology and smart devices every day. Central to these smart devices are smart microcontrollers like NXP’s Kinetis MCUs. When you think about smart MCUs, you probably think about their core performance with specific features such as floating point, memory configurations or power consumption. For NXP, creating the best MCU in the industry was the ultimate goal, so they built Kinetis with FlexIO: An MCU that is smart, secure, and energy efficient, yet powerful enough to run industrial IoT, as well as lean wearable devices. Want to take your career and technical accumen to the next level? Master the Kinetis MCU with FlexIO so you can enable smart, flexible designs that are secure and enterprise ready. Learning embedded design will take your career to the next level! For the first time ever, we are offering live Webinars to train and answer questions on the Kinetis with FlexIO platform. Hackster.io and NXP are working together to roll out the latest design contest featuring the world’s smartest peripheral – the FlexIO module. The FlexIO module on the Kinetis MCUs can be used to easily add displays, cameras, and other peripherals to your embedded design. In addition to supporting a wide range of interfaces, the FlexIO is packed with technology to perform data matching, logical operations and state machine operation. Attend these sessions to learn more about the Kinetis FlexIO module and how to participate in the contest with a chance to win cool prizes and even a trip to the NXP FTF Tech Forum. These sessions are presented by Adam Benzion, co-founder and CEO of Hackster.io and Donnie Garcia, Kinetis Product manager at NXP. We will notify the winners of the NXP Freedom boards on a rolling basis. Submit your project by clicking on "Submit an entry"
Describe your project. Include plenty of details: what are you creating? What does it do? Why does it matter? Give ample technical information. Check out this projecton Hackster to get inspired. All project submissions must use the NXP freedom board (FRDM-K82F) with FlexIO. Check out some of these grove kits to get started! Anything else that you care about that requires a powerful MCU! Extra points for technologies that better our planet! Hello Texas! NXP FTF TECH FORUM 2016! One lucky winner will get to fly to the NXP Developer Forum (FTF). You will bring your designs and ideas and share them with thousands of visitors to the event. FTF is going to be held in beautiful Austin on May 16-19, 2016. 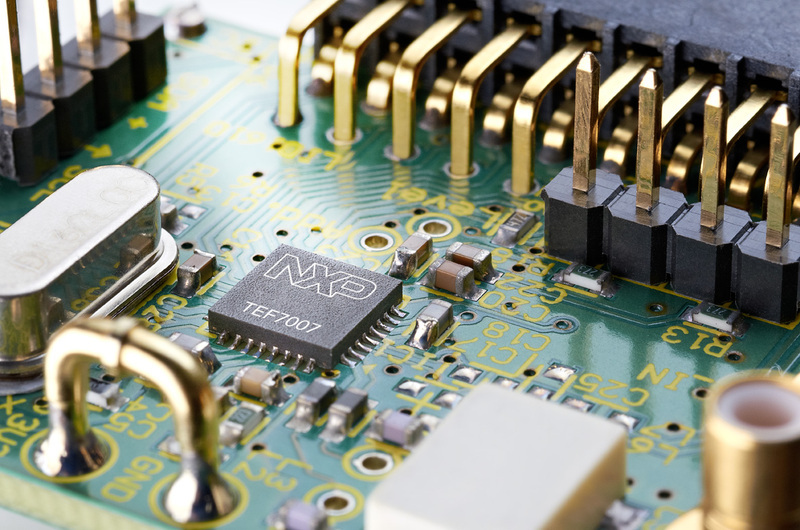 The NXP Freedom boards (FRDM-K82F) is not your typical development board. Not only is it form-factor compatible with the Arduino™ R3 pin layout to allow expansion with an extensive library of third-party boards, the FRDM-K82F is also packed with capabilities that are sure to inspire innovation. The board uses the Kinetis K82, one of the newest MCUs from the NXP Kinetis family. The K82 MCU was designed to highlight the key features found on the cutting edge ARM®Cortex®-M4 MCU with floating point unit. Let’s take a closer look at the many capabilities of the FRDM-K82F platform. The Kinetis K82 MCU, with its integrated power management, delivers low static and dynamic current consumption. The Low Leakage Stop (LLS) power mode delivers fast wake-up times and typical current consumption of less than 10uA with an impressive 256KB of SRAM retention, ideal for applications requiring fast, but low-power recovery time and retention. The CPU speed of the K82F is easily scalable with configurable clock dividers and allows for dynamic power consumption optimization. Besides the low power capabilities, the K82 supports I/O power rail for powering a sub-set of the I/O pins at a different voltage than the rest of the system. On the FRDM-K82F board, this feature allows external flash to operate at a lower voltage, resulting in lower read/write power consumption with external memory. The FRDM-K82F also supports several connectivity options. The full-speed, 12Mbps on-chip USB enables a host or device interface supported by a comprehensive USB stack with numerous host and device classes and examples. In addition to the USB, the hardware is designed for easy expansion. Whether via shield boards or through the standardized RF or Bluetooth headers, users of the FRDM-K82F don’t need to worry about building custom hardware interfaces to add connectivity. Like other Kinetis MCUs, the Kinetis K82 integrates on-chip ADCs, comparators and a temperature sensor. There is also an intelligent 6-axis sensor from NXP, the FXOS87000. One of the most advanced features for the FRDM-K82F is the integration of dual 32Mb serial NOR flash memories. These memories can be used to expand data storage or to support firmware expansion space. The K82 MCU is the first Kinetis device to leverage the vast memory expansion capabilities of external serial NOR flash, and the 8MB of total space provides a nearly limitless workspace for even the most ambitions developers. The CPU speed on the FRDM-K82F can reach as high as 150MHz in the High Speed Run mode and is complemented by the 16KB of cache on the MCU. The Code and System caches ensure that whether using embedded flash or external flash, the memory is accessed with low latency. Besides the integration of floating point instructions, the K82F also contains an advanced cryptographic accelerator block that speeds up both symmetric (secret key encryption) and asymmetric (public key encryption) cryptography. In addition to standard push buttons, the FRDM-K82F also has two capacitive touch pads for expanded user interface capabilities. There are also many options available for display shields. A very exciting aspect of the FRDM-K82F is the FlexIO header which was designed to work seamlessly with an OV7670 camera module. Kinetis SDK includes an example utilizing the USB video device class to show this camera interface in action. This FlexIO header is also adaptable enough to work with a broad range of display interface options as well as other accessories to expand the capabilities of the FRDM-K82F. For developers looking for a power and expandable development platform, the FRDM-K82F is poised to deliver! Congratulations to Tom Minnich: FTF prize winner! Check out his project FlexIO Based Multi-Copter Rotor Control! Glowforge is a 3D laser printer: a new desktop tool that uses laser cutter/engraver technology to shape wood, leather, fabric & more. Amazon Echo is designed around your voice. Ask it for music, news, weather, information, and more. Get answers instantly.